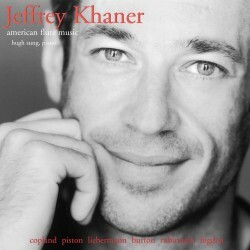 Jeffrey Khaner is one of today’s most notable orchestral musicians. Principal flautist of the Philadelphia Orchestra since 1990, he has won numerous accolades for his silvery tone, soaring phrases, remarkable breath control and nimble virtuosity. 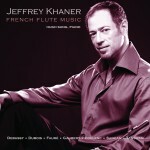 This CD, featuring a diverse collection of accessible American flute sonatas, is Jeff’s debut solo recording. 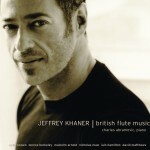 Jeff has become particularly associated with American repertoire. He has given several performances of Lowell Liebermann’s Flute Concerto and Sonata, the latter with the composer at the piano, at the Pacific Music Festival in Japan, and premiered Ned Rorem’s Flute Concerto which was commissioned for him by the Philadelphia Orchestra.